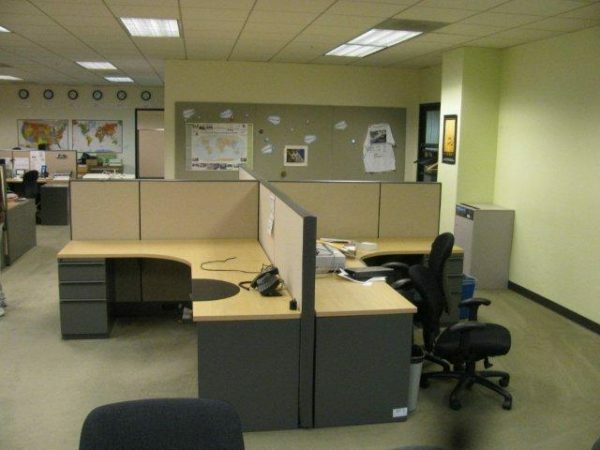 Knoll Dividends 6×8 Cubicles with both 54″ high panels and 65″ high panels. There are 12 stations with tall panels and 16 with medium panels. These stations have a BBF pedestal. Tall stations have a overhead bin. Product is in good as-is condition.